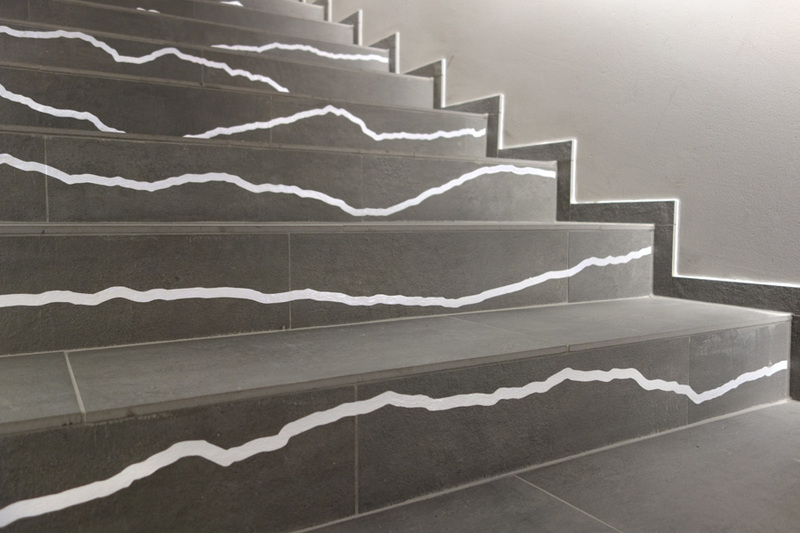 Site-specific temporary installation of the staircase in the new art Kunsthalle 1800 St.Christof am Arlberg in Austria, which was inaugurated in late November 2015th. 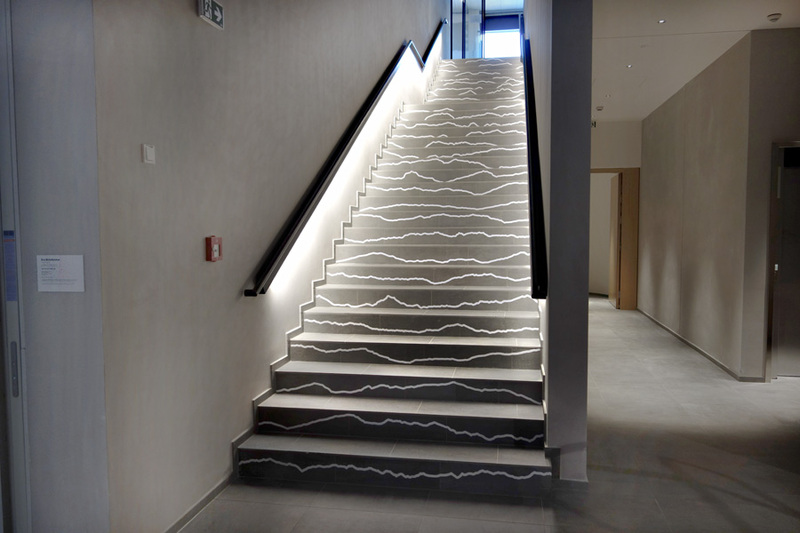 The lines on the stairs based on the mountain lines from the surroundings of Arlberg in the Austrian Alps. 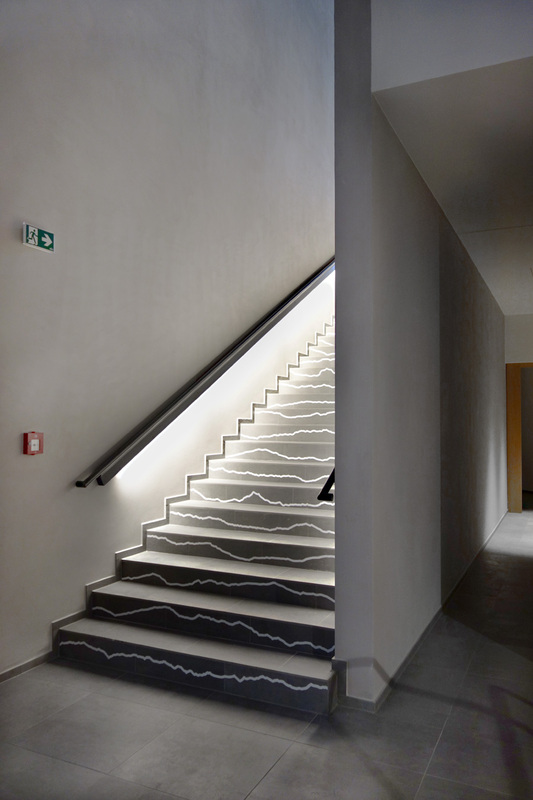 The installation connects the gallery’s architecture and the landscape behind it by connecting the indoor and outdoor area. 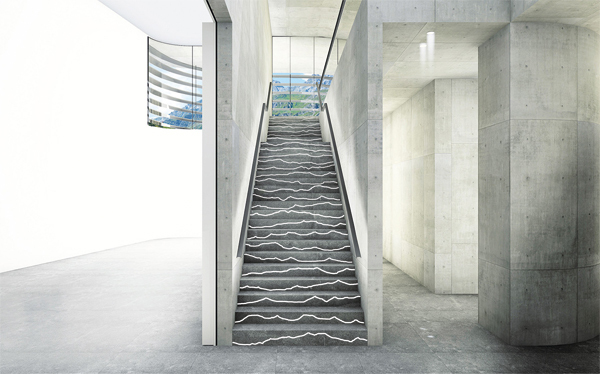 Mountain-lines on the stairs continue with mountain view outside of the glass entrance/window. 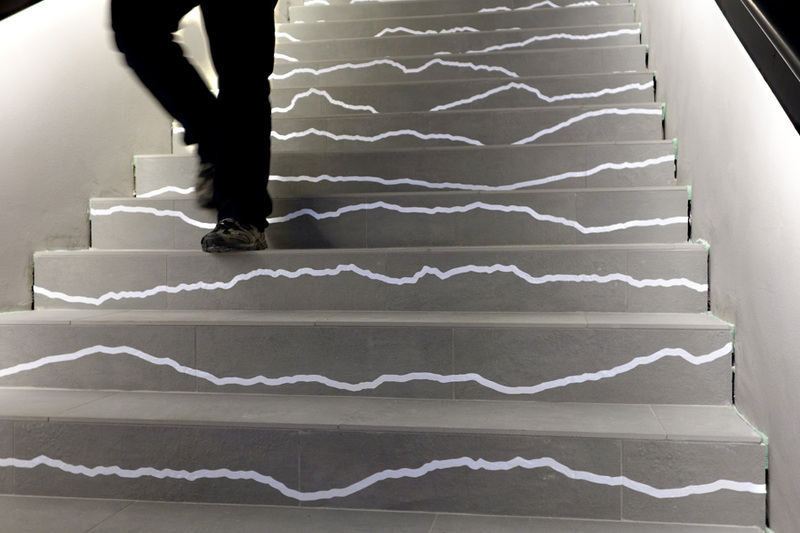 The starting point of the installation is the experience during hiking and the attempt to reach the highest point with the best view. After every peak follows the next mountain peak. The goal moves forward and changes it’s location during the trip and one can never arrive at a final target. An Archimedean point (or ”Punctum Archimedis”) is a theoretical ”absolute point”, a hypothetical vantage point from which an observer can objectively perceive the subject of the investigation, with a view of the big picture. 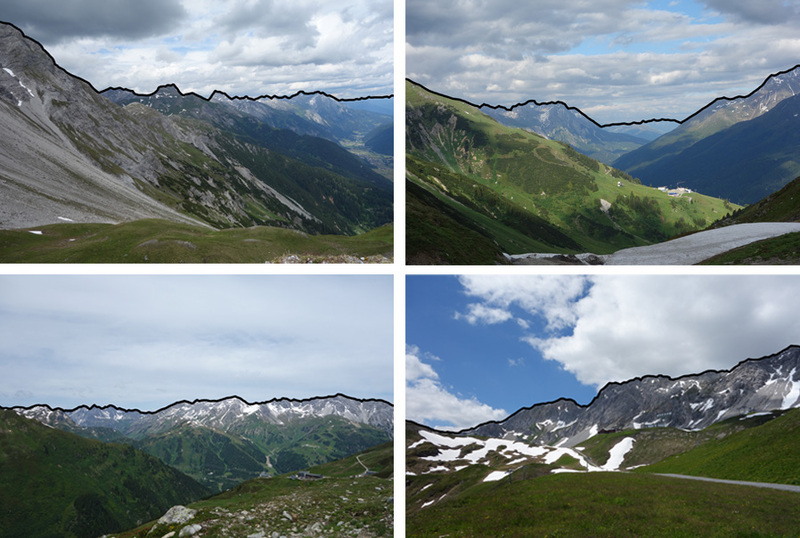 The ideal to ”remove oneself” from the study object so that one can see it in relation to all the other things, but independent of them, described as a view from an Archimedian point. The term comes from Archimedes, who claimed that he could lift the earth, if he had a place to stand on, a fixed point, and a long enough lever.